This is a story of ecological changes in Lake Huron. The protagonists are fish, as well as other plants and animals. Invasive species have wreaked havoc on the Lake Huron ecosystem, causing what some scientists term an invasion meltdown. 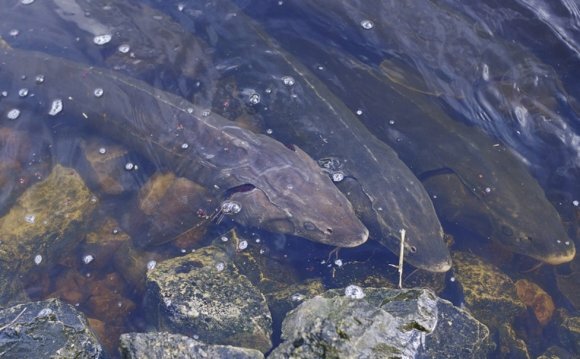 These invasive species, including sea lamprey and alewife in the 1940s-1970s, have drastically altered abundances (even causing several extinctions), food sources, habitat, and reproductive cycles of native organisms. The challenges of invasive species expansion were met in the 1960s by major management actions, such as the control of sea lamprey through chemical treatment of spawning streams, as well as reduction of alewife populations by introducing the Pacific salmon as a predator. These actions garnered better results than expected, bringing their populations down to manageable levels by the 1980s. Also, the sport fishing industry, largely targeted on Pacific salmon because native game fish had been decimated by invasive species, became a billion dollar industry by 1984. By the 1990s, the lakes had reached a reasonable balance with introduced salmon as the major predator species, relatively controlled populations of invasive alewife and lamprey, and improvements in water quality that resulted in the lakes once again being a major resource, not only for fishing but also for boating and other recreational pursuits. Recent changes in the Great Lakes have altered this balance once again, particularly in Lake Huron. 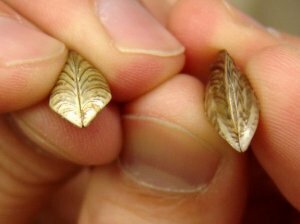 Zebra mussels were discovered in 1985 and in less than 10 years, spread to all five Great Lakes, as well as the Ohio and Mississippi river basins. Introduction and spread of zebra mussels and other invasive species were facilitated by transfer of ballast water from ocean-going vessels, which gained access after opening the St. Lawrence Seaway in 1959. Zebra mussels are invertebrates with a voracious appetite for plankton. Their appetite and explosive reproductive rate caused major change in the nearshore areas of the lakes. Then in the late 1990s, quagga mussels (a close relative) became abundant in Lake Huron, occupying not only nearshore areas but deep offshore waters as well. These invasive mussels are not a good source of food for most fish. As filter feeders, they strain plankton from the water column. They became extremely abundant in bottom habitats, but they were a poor replacement for energy-rich native invertebrates, such as amphipods that fish prefer to consume. 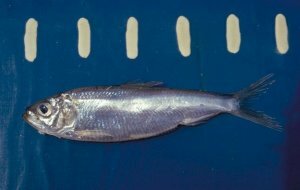 Before the invasion of mussels, plankton was abundant in pelagic (offshore) areas and served as a primary food source for young fish, such as salmon, perch, and whitefish, as well as alewife. The reduction of plankton created a major shift, with limited plankton abundance in open waters and energy diverted to benthic communities of mussels, which were largely not available as food for fish to consume. 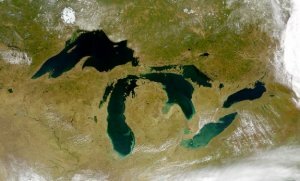 These changes occurred throughout the Great Lakes and resulted in water becoming much clearer, reductions in native benthic species, concentration of pollutants in bottom waters, and increases in botulism bacteria affecting survival of waterfowl. However, the changes in the 1990s were just the beginning. The Lake Huron ecosystem in 1990 was comprised of many invasive species like zebra and quagga mussels, an introduced salmon fishery that relied on consumption of the invasive alewife for food, and a variety of other changes induced by invasive species. This house of cards began to fall in the early 2000s. Salmon fishing had reached historic levels at that time, and many salmon were stocked to support sport fishing. However, changes in the lake ecosystem were affecting survival of invasive alewife and other forage species in Lake Huron. The combination of competition with mussels and predation by record numbers of salmon resulted in a 50% reduction of the alewife population in 2002. Since salmon relied almost entirely on alewife for their food, the salmon fishery declined as well. Salmon harvest in western Lake Huron declined from 10, 000 fish in 2002 to 2, 000 fish in 2005. People who came to the lake for vacations that included fishing abandoned this pursuit, with charter fishing declining 80% by 2005 and sport fishing harvest showing similar trends. In the course of about three years, Lake Huron went from the salmon fishing Mecca in the Great Lakes to a ghost of its former self. This not only affected the ecosystem, but the local economy as well. For example, the loss of charter fishing in just 10 small towns on Lake Huron resulted in an economic loss of $11 million a year. How did this collapse occur so quickly? The increased stocking of salmon was only a small component of this change. There was also an unrecognized amount of natural reproduction of salmon occurring in Canadian tributaries of Lake Huron, and as much as 85% of the salmon population originated from natural reproduction, not stocking. Unfortunately, there was no evidence of this natural reproduction at the time. This meant that the lake had far too many salmon to support by the declining alewife population. The alewife population was undergoing a reduction of its own due to invasive mussel increases in the lake. With those two negative forces, a population crash was inevitable, but the speed with which it occurred surprised most scientists and managers who study the lakes. In the 10 years that have elapsed since the alewife collapse, there has been no evidence of their populations returning to pre-2002 levels. In fact, they dropped to nearly zero by 2005 and have remained low in abundance since that time. However, the lake itself has undergone further dramatic changes. Many native populations of fishes, including walleye, smallmouth bass, and emerald shiners, have shown resurgences and are now very abundant. Other species, such as lake whitefish, have begun to feed on zebra and quagga mussels, resulting in increased population levels and health of their stocks. The lake has changed from one dominated by human management to one that is more in tune with natural population trends. However, the economy has not recovered as quickly as the lake. 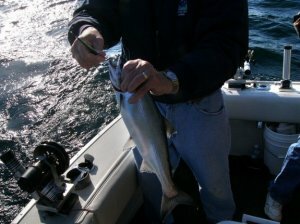 The loss of salmon fishing continues to hold tourism for sport fishing in Lake Huron at all-time lows, and the rebounding of other species has not resulted in increased tourism for fishing on their stocks. Communities along the lake have promoted ecotourism and other non-consumptive recreational pursuits in an effort to recover some of their tourism trade. These efforts have been positive, but have not replaced the economic loss from salmon fishing.